My 2 blueberry bushes are having a good year. They are about 6 years old and this is the best year so far. I finally gave up on blueberries here. In the few places I can plant them I can never get the soil ph right. Nice! It looks like you are going to have a good yield! Mine are just starting to bloom! Nice blueberries Chapman. We were gone over the weekend, and I checked them last night when we got home. The birds had a good harvest. 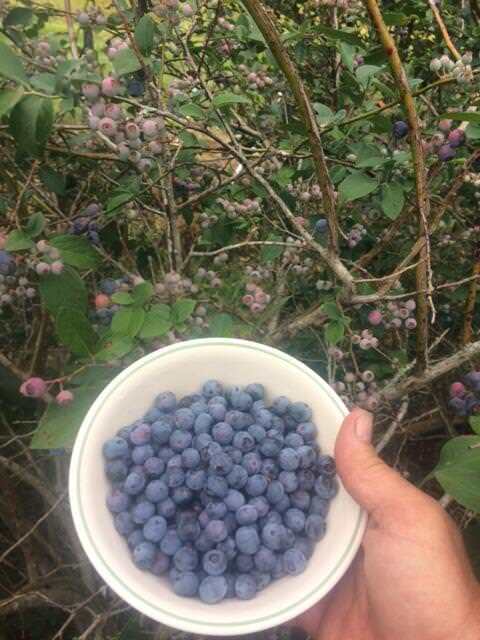 This was going to be my best year with the blueberries (3 year) and lots of fruit set. The colder winter must have been good for the blueberries. Next year, I can't take the kids to OH or I'll have to put some bird netting over the bushes. Jimmie, the birds can be hard on them. I put up this quick scarecrow today. Put a shirt on a coat hanger, added pants,gloves and boots and hung it from a tree branch. Chapman, that scarecrow looks like I feel at the end of some days. Im gonna try it too!! I know what you mean. Good luck. 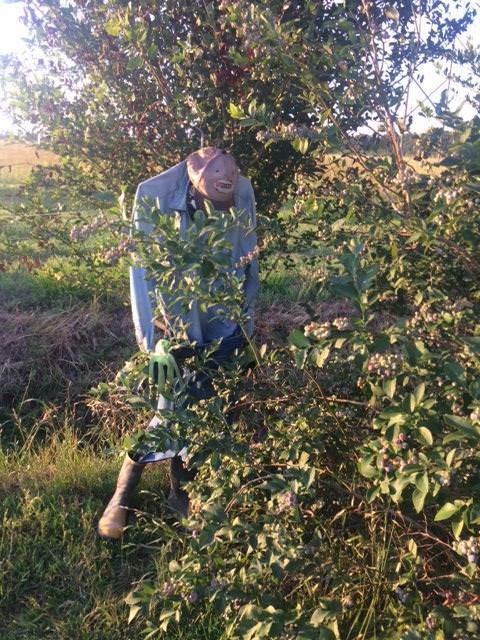 I can easily try a scarecrow right next to the blueberries next year. Thanks Chapman. Bumper crop here as well. Blackberries not so good.